Tone Hartvedt at GreenByte, pictured with John Glette at BKK Digitek. Greater Bergen’s main utility company has agreed a new deal that will make it easier than ever for data centers to connect to European fibre networks. The agreement, signed by local network provider BKK Digitek, will provide data center operators with a “one stop shop” solution for accessing European destinations. The service is provided by the northern European Easy Fibre partnership, which includes network operators across Sweden, Norway, Denmark, Finland and northern Germany. 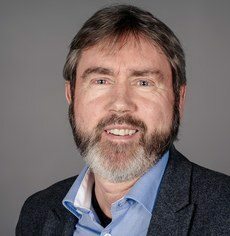 “Easy Fibre will make it a lot more convenient for our customers to get the connections they are looking for from Bergen and out in the world,” says John Glette from BKK Digitek. The Greater Bergen region is already well‑placed to offer fast and secure connections to Europe and the world. The nearby Tampnet network offers the quickest route between Norway and the UK, meaning that data centers near to Bergen can connect to London with a round‑trip latency of only 14,5 ms. According to Tone Hartvedt at local organization GreenByte, the new agreement with EasyFibre will make Greater Bergen even more attractive to data center companies. “Over the years we have been working with attracting data center facilities to the region, we have seen how important it is with a fast and solid offering of redundant fibre,” Tone says. The Greater Bergen region can offer fast and secure connections to Europe and the world. Illustration © BKK. In addition to Tampnet, there are several other dark fibre projects under planning that will connect Norway to the UK and the US. “Havfruen will be built from Denmark and Kristiansand south in Norway and to the US, and will be ready in 2019. There are also plans to build the England Cable from Stavanger south of Bergen to Newcastle, and plans for the Celtic-Norse project between Trondheim north of Bergen and Ireland,” says Glette. If you’d like to find out more about the benefits of western Norway as a data center location, visit the GreenByte website or get in touch.